CRANKSHAFT on base of triple. The bearings are not accurate yet. 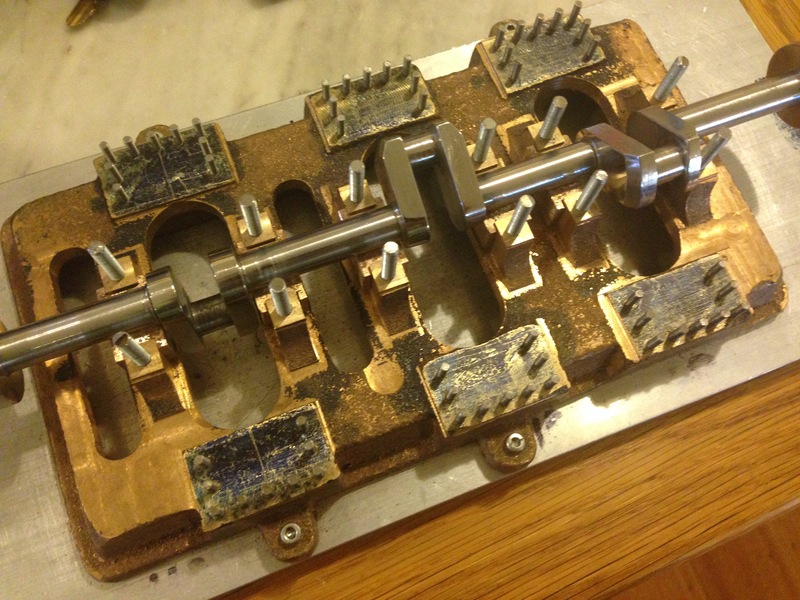 I just wanted to make sure that the crankshaft fitted into the slots. It does fit, with minimal end play. The main bearing studs are in place, but I am contemplating replacing them with smaller diameter studs, so the nuts which fasten the bearings in place (not seen in this photo) are a more realistic scale.